Geneva-based IndustriALL, a global union federation that says it represents more than 50 million workers in 140 countries, joined forces with Building and Wood Workers’ International to file a complaint against BHP Billiton (NYSE:BHP) and Vale (NYSE:VALE) under the Organisation for Economic Co-operation and Development’s Guidelines for Multinational Enterprises. In a press release, the signatories state that the complaint was also signed by the Trade Union of the Construction, Consulting Engineering and Concession Industries of the State of Minas Gerais and Brazilian CNQ-CUT. The document was filed before the OECD National Contact Points in Brazil, Australia and the United Kingdom on March 26, 2018. The indictment is related to the consequences of the collapse of the Fundão Dam in the Brazilian state Minas Gerais on November 5, 2015. The facility used to store millions of litres of waste from the Germano iron-ore complex, which is operated by Samarco Mineração S.A., a joint venture between BHP Billiton and Vale S.A. When it breached, the disaster killed 19 people, left hundreds homeless and unemployed and caused sludge to wash downstream into the neighbouring state of Espírito Santo through remote mountain valleys reaching the Atlantic ocean 600 kilometres away. According to the labour organizations, the companies are in violation of OECD Guidelines for Multinational Enterprises because they have failed to: 1) provide adequate remedy and establish a legitimate remediation process that involves affected communities and workers; 2) respect trade unions rights; 3) ensure adequate health and safety standards including respect for laws on working time; 4) conduct due diligence involving stakeholders, including trade unions. “The Fundão dam-burst disaster is a horror story of production at any cost. Samarco ignored technical warnings and overlooked the fundamental protocols of tailings and dam safety with catastrophic results. 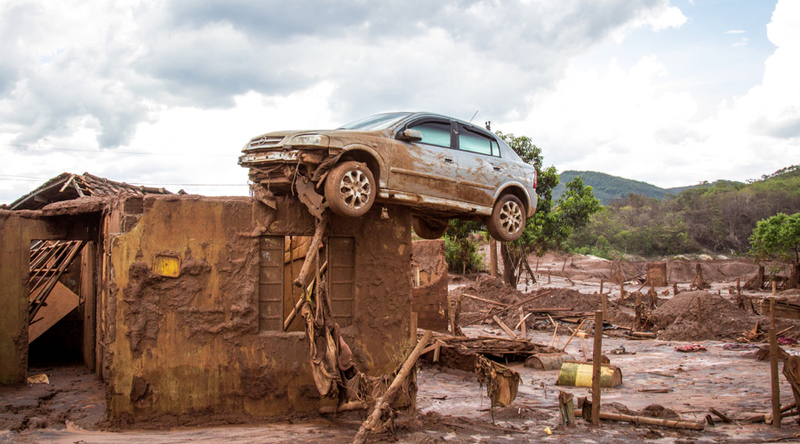 Samarco also failed to plan for an emergency, meaning that workers and residents were totally unprepared when the dam collapsed, contributing to the loss of life and devastation. With this complaint under the OECD guidelines, we want the company to be held accountable for its negligence before the representative unions,” Valter Sanches, General Secretary of IndustriALL Global Union, said in the media statement. MINING.com contacted Vale, Samarco, and BHP about this issue but did not receive a response by publication time.